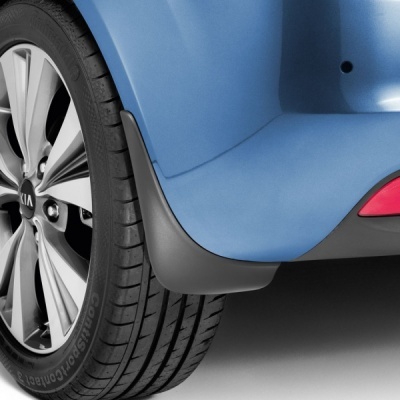 Genuine Kia Venga Rear Mud Guards. These Mud Guards /Mud Flaps help to protect your Kia Venga's underbody, sills and doors from excessive dirt, slush or mudspray. Custom made for the Kia Venga. Please note, these Mud Guards are not compatible with rear skirts.